Swedish Royal Clothing ID's: Merry Christmas and Happy New Year! I hope you had a wonderful holiday and are well rested for the New Year! 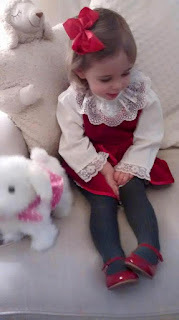 In honor of the Holiday Season, I wanted to share these 2 dresses that Leonore recently wore that were actually worn by Princess Madeleine as a child! Both dresses can be seen on Princess Madeleine as photos 2 and 3 in the slideshow! Click HERE! This first dress we see on Princess Leonore in a photo published by Princess Madeleine in celebration of Queen Silvia's Birthday! Madeleine herself wore this dress during the Victoriadagen Celebrations of 1984. This other photo posted by Princess Madeleine shows Leonore wearing a dress that Madeleine wore during the Christmas Celebrations and Video of 1983. 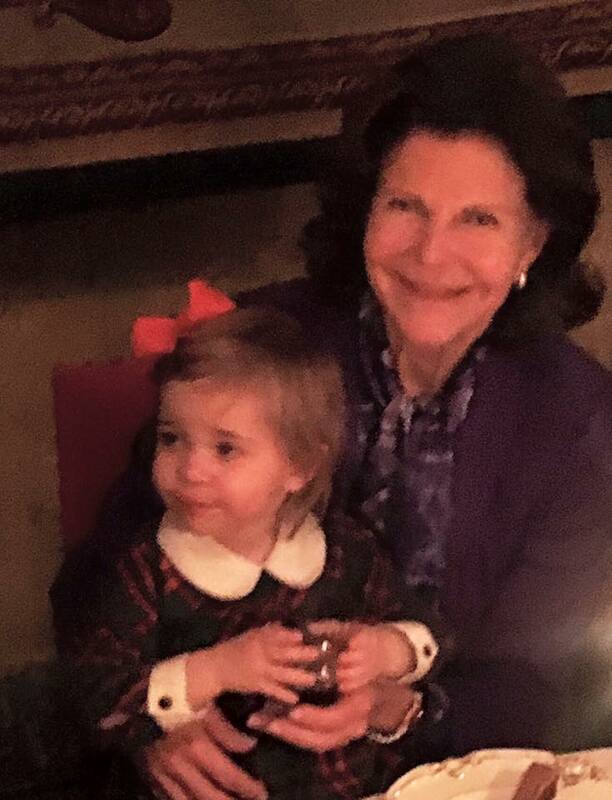 I hope you all had a wonderful Christmas and I look forward to Royal Watching with you in the New Year! Photos Credit go to Princess Madeleine on her Facebook Page. All rights belong to her. Sadly I own nothing. Thanks! :D I saw them on Instagram and appreciate you making sure I had seen them!